Midland Bank Limited has opened its Rajshahi Branch at Boalia recently, said a statement. 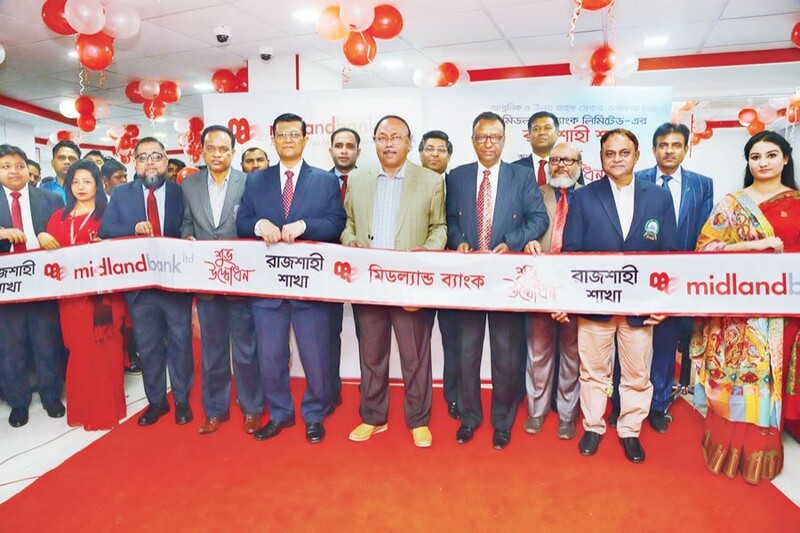 Ahsan-uz Zaman, Managing Director & CEO of the bank, along with AHM Khairuzzaman Liton, Mayor of Rajshahi City Corporation, and AFM Shahinul Islam, General Manager, Bangladesh Bank, Rajshahi Office, formally inaugurated the branch at New Market Road of Rajshahi Sadar. Clients, businessmen, local elite, Md Ridwanul Hoque, Head of Retail Distributions, Kudrat-E-Khoda Md Samiul Karim, Head of Rajshahi Branch, and other officials were also present.